As you know, Monday was our 2 year anniversary. Typically we travel every year for our anniversary instead of getting each other gifts. 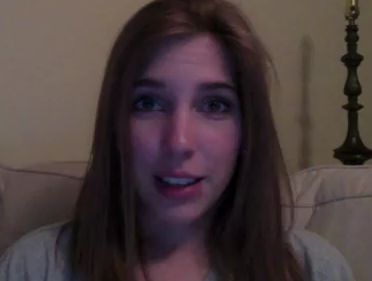 Of course we had to cancel our trip this year, since Casey has mono. Even though we weren’t able to celebrate, I did have DIY anniversary gift that I had put together for him. I am not the best at verbalizing my love for my husband on a regular basis. But I do love him very much and want to make sure he is reminded every day for the next year how much I love him in a very tangible way. 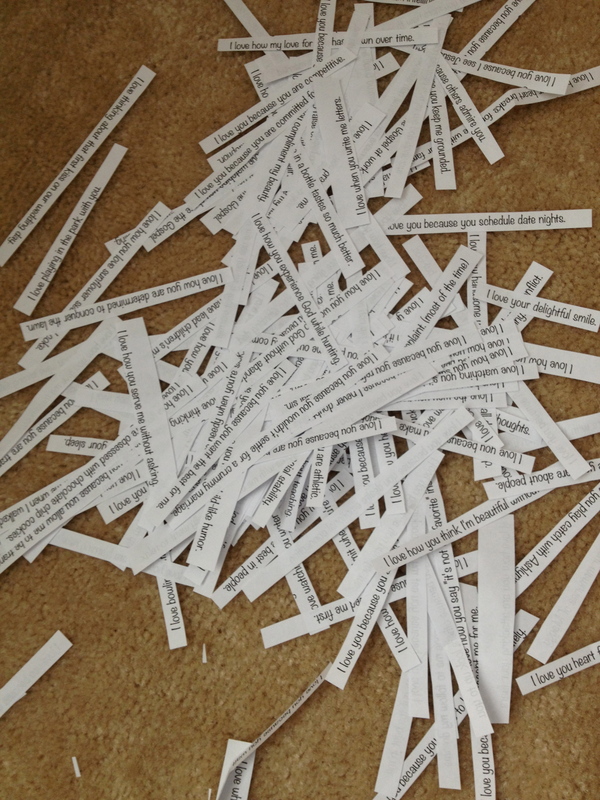 So I got to writing. 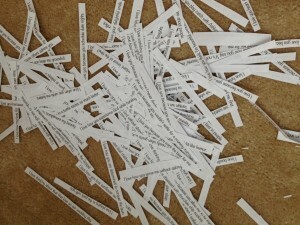 1) Write 365 reasons you love your spouse or things you love about him or her. I chose to write these down and then type them into excel. 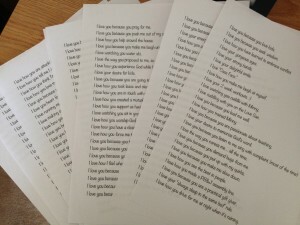 I find that I connect my emotions to my writing more when I actually handwrite, but I wanted to have them printed so they are easy to read and save. The other benefit of typing them up in excel is you can easily tell if you are duplicating I Love You’s thanks to excel’s auto-fill functionality. I love you because you are a good steward of God’s blessings. I love you because you encourage others to encourage me. 2) Print the list. Cut out each I Love You. I eventually got a system of cutting that made it go very fast. 3) Fold each I Love You and place it in a decorated container. Side Note: Someone recommended folding and then cutting. I’m sure that would work better, but haven’t tried it. Thankfully my 12-year-old niece was in town this weekend so I had help with my folding. She enjoyed reading through them while she folded them though so she wasn’t very productive, but it definitely helped! Ask your kids to join you. I would make sure they are good secret keepers and most importantly, that you’ve removed any I Love You’s that might be embarrassing for your kids to read (if you know what I mean). As for the container, I had a little decorated box that I wanted to use, but as I began adding the slips into the box I realized the box wasn’t big enough. I had to improvise. I had an empty mason jar that I quickly wrapped with some wrapping paper. I’ll decorate it more later. Likely mod podge it and then paint 365 I Love You’s and the date on there. 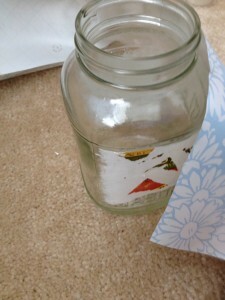 4) Give the jar to your spouse. They get to read one I Love You each day for a year! Casey is super excited about his gift. It’s driving him crazy that he can’t read them all at one time. That anticipation alone makes it a gift that keeps on giving for 365 days! It’s so fun to read the I Love You for the day together. I hope this anniversary gift idea is a free and DIY anniversary gift you love for years! Confession: I’ve only made 180 I Love You’s so far. I’ve got 185 to go. I’ve just been overwhelmed with work and Casey’s mono. 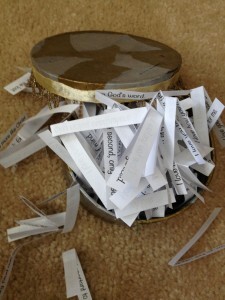 Tip: Decorate another jar or box for your spouse to put the I Love You’s in once they’ve read it. 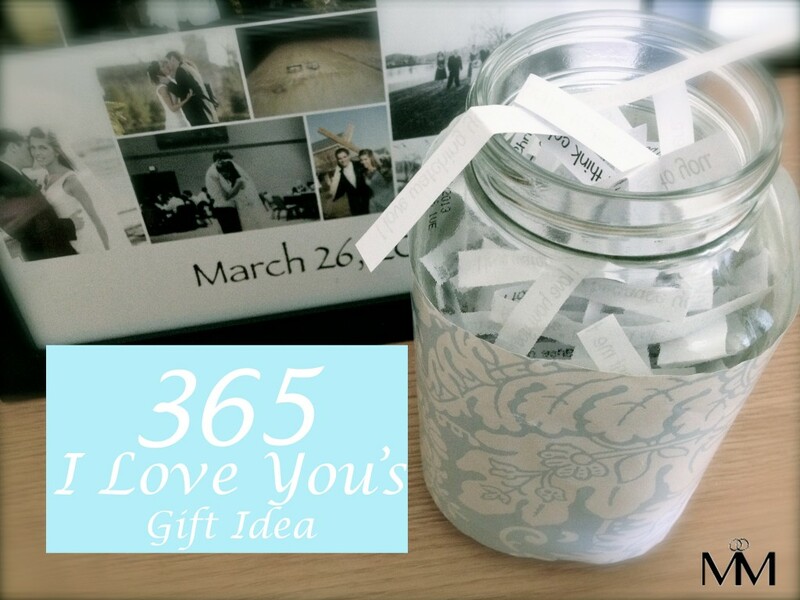 If you do this every year, you could have an I Love You jar for each year you’re married!